Eastwood Town FC have been served with a winding up petition by HM Revenue & Custom (“HMRC”). The club has been given until the hearing of it’s petition on Monday 18 November 2013 to pay it’s tax bill (which is reported to be in the region of £160,000) or face a winding up order by the High Court. It is reported that the winding up petition is the latest development in a long list of financial woes for the club. The winding up petition comes after the club had been experiencing financial difficulties centred around players and staff who haven’t worked for the club for two-and-half years. We understand from reports that the directors of the club are holding a meeting today where the players will be given clarity as to whether the club will keep going. Under the previous ownership, the club were promoted to the Conference North and enjoyed a famous FA Cup win over Wycombe Wanderers F.C. However, following financial constraints, the club was sold for £1 in 2011. Following the winding up petition, the league game with Loughborough Dynamo was postponed because the owner had resigned his directorship which meant that there was no adequate insurance for the game to go ahead. However, we understand that the owner has now been re-instated. Since the match postponement, players including strikers Kieran Wells, Andy Hutchinson and goalkeeper Lewis King have left the club. However, the club has reassured fans that the directors have funds in place to keep the club alive and that the next match will go ahead. 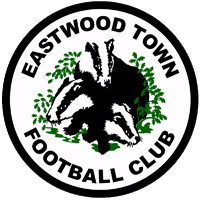 The next scheduled fixture for Eastwood Town F.C is a home game against Belper Town on Saturday 9 November. If you have received a HMRC winding up petition our legal experts are able to provide legal advice and representation. Our team of solicitors and barristers can obtain a court adjournment, CVA’s or reach an out of court settlement with HMRC.